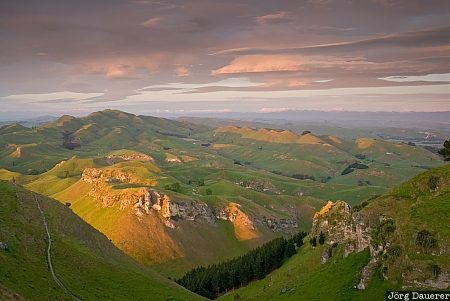 Rolling green farmland illuminated by soft early morning light near Havelock North seen from Te Mata Peak, Hawke's Bay, New Zealand. This photo was taken in the morning of a rainy day in November of 2008. This photo was taken with a digital camera.